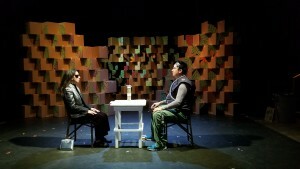 New Native Theatre kicks-off its tenth anniversary season with the world premier of Red Running into Water. Written by Navajo playwright, Blossom Johnson and directed by Navajo director, Rhiana Yazzie, the Artistic Director and founder of New Native Theatre. Red Running into Water is the English translation of the Navajo clan, Tachii’nii. 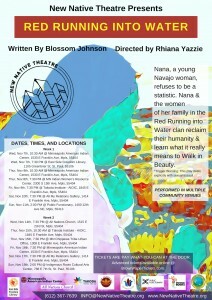 Red Running into Water follows the story of Nana Blackrock, a 22 year old Navajo woman who refuses to be a statistic. Nana and the women of her family in the Red Running in the Water clan reclaim their humanity and learn the meaning of Walking in Beauty, the core to the Navajo belief system. Performances take place in multiple community venues in Minneapolis and St. Paul, Minnesota from November 7th through November 18th, 2018. The play highlights a number of issues including sexual assault and indigenous land rights. 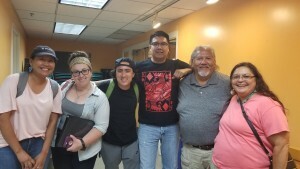 Playwright, Blossom Johnson says the Navajo family in the play “is struggling to find themselves as the world continues to tell them who they should be. They are beautifully flawed Indigenous people. When I wrote this play I never thought it would be seen, and I did not understand how heavy and deep the content would be, because it felt normal, and it shouldn’t be. If you are a survivor I want you to know you are not alone. 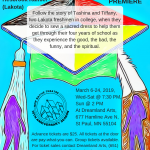 The structure of this play is inspired by my grandmother who would weave rugs, and she would leave flaws in her designs to reflect human nature.” Johnson who grew up on the Navajo reservation brings pieces impressions of life growing up in boarding schools on the Navajo reservation to create a play that gives an authentic glimpse into that world. 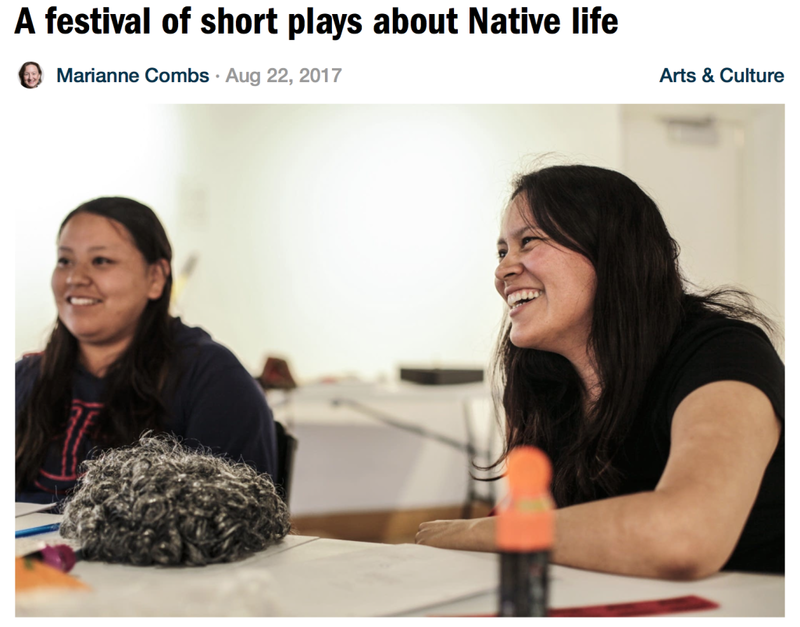 “I was moved by the brilliant words and situations that Blossom brought to life,” says Artistic Director, Yazzie who first read Blossom’s play when she was a judge on the Yale Indigenous Performing Arts youth new play contest. 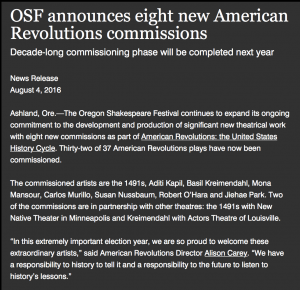 “I immediately asked if I could contact the writer to see if she would be interested in developing this new work at New Native Theatre.” Two years later, Red Runing into Water opens New Native Theatre’s tenth anniversary season in more than one venue touring across Minneapolis and Saint Paul. Playwright Blossom Johnson, an MFA candidate in dramaturgy at Columbia University worked with New Native Theatre this past summer during their Third Annual National Native American Ten Minute Play Festival, and is happy to be returning this season as a playwright along with other new and classic plays that are part of this tenth anniversary including, Alex Hesbrook’s Wounspe Wanktya – A College Education premiering at Dreamland Arts in February, Tomson Highway’s Rez Sisters in May, and Yazzie’s own new play Nancy among others. It will be performed in the round at community venues such as East Side Freedom Library Wednesday, November 7th at 7:30pm as well as The All My Relations Gallery, Public Functionary, Minneapolis American Indian Center, Minnesota Indian Women’s Resource Center, Takoda Institute-AIOIC, All Nations Church, the MN Chippewa Tribe Urban Office, and the Indigenous Roots Cultural Arts Center. All tickets are Pay-What-You-Can at the door and are available at www.BrownPaperTickets.com. The cast features includes Tara Lyn Dejolie, Ira Dixon, Lorne Maxwell Duquette, Delinda Oogie Pushonequa, Shawna Sunrise, and Lini Wilkins. 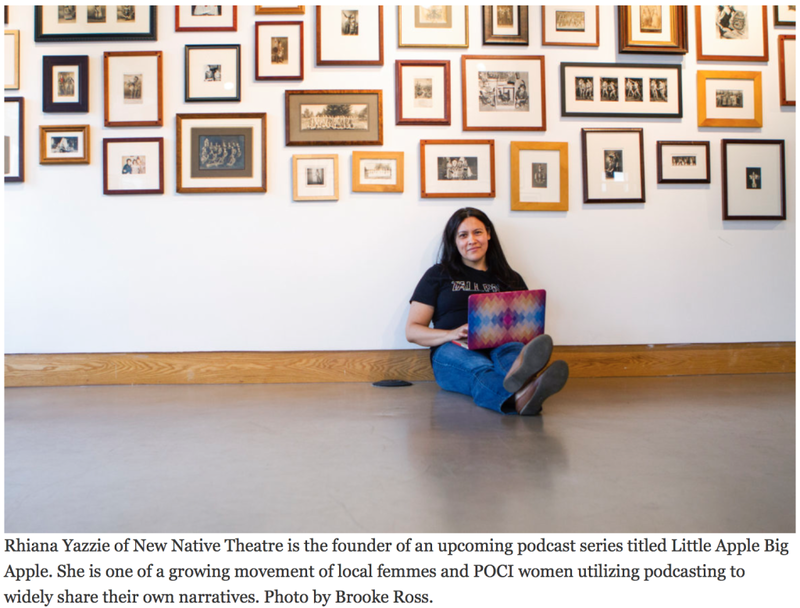 New Native Theatre is a new way of thinking about, looking at, and devising authentic Native American stories for the stage. 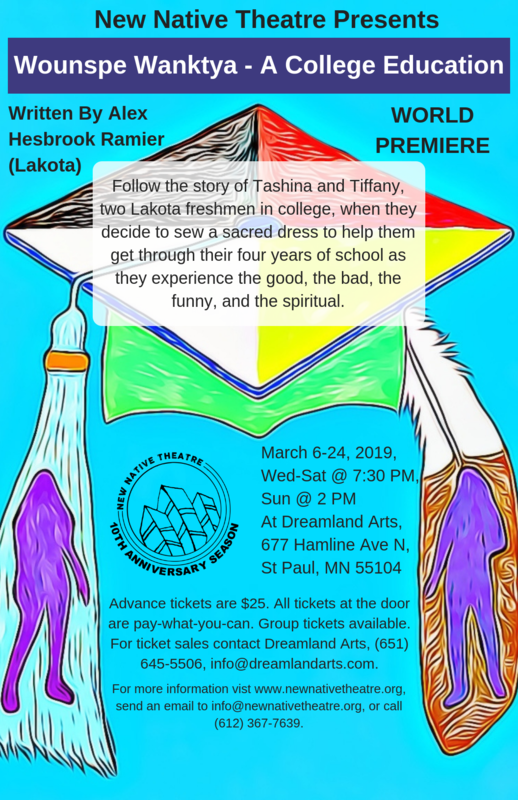 Based in the Twin Cities, it is the only and longest running professional Native American theatre company in the Upper Midwest focusing exclusively on featuring professional adult Native American actors, designers, directors, and playwrights. 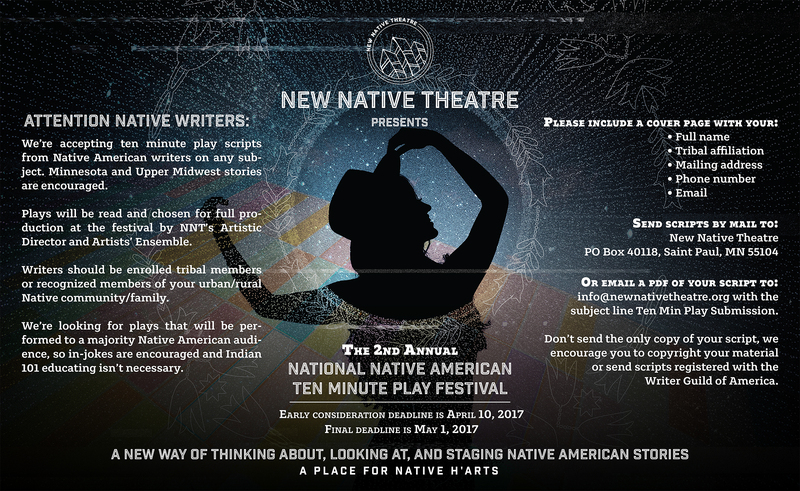 For more details or questions, please contact New Native Theatre at (612) 367-7639 or through email at info@newnativetheatre.org. Visit www.newnativetheatre.org for details. 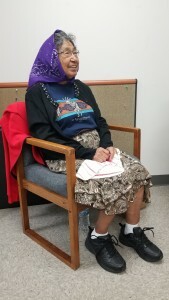 Grace Smith waits for rehearsal to begin. 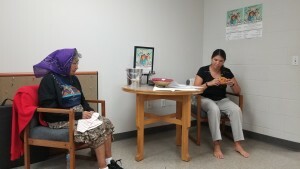 Mother and daughter, Grace and Alicia Smith act in GRANDMA’S WORK by Lara Gerhardson. 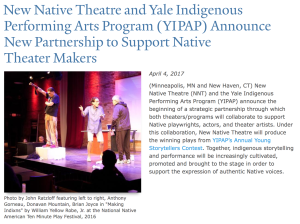 Announcing our collaboration with the Yale Indigenous Performing Arts Program!